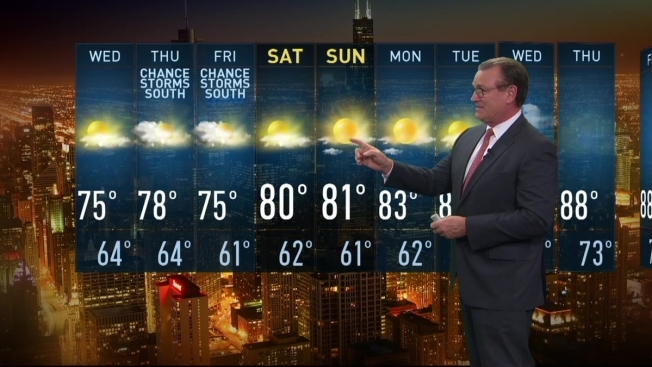 Another round of rain and storms hit the Chicago area Tuesday, one day after heavy downpours prompted flash flooding in parts of the area. The rainy and stormy weather moved in during the afternoon but things calmed in the evening hours. A Severe Thunderstorm Warning was issued for LaSalle and Grundy Counties, in effect until 5:45 p.m. The warning reported severe thunderstorms from Oglesby to Streator moving east at 40 mph. Wind gusts of up to 60 mph were possible with these storms. By 10 p.m. about 732 flights were canceled at O'Hare International Airport for what officials said were "severe weather conditions" surrounding the area. About 81 flights were canceled at Midway and delays averaged about 23 minutes. A round of storms in the Chicago area Monday evening already brought flooding throughout the region. 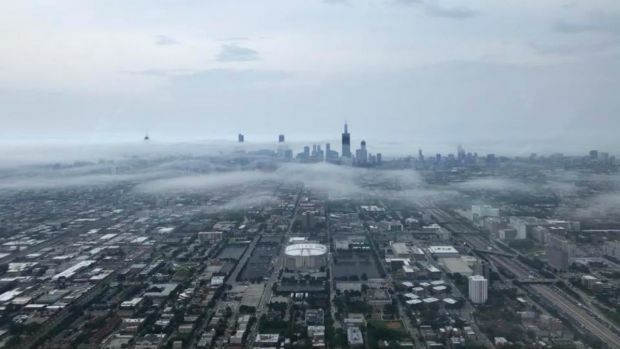 Kane and McHenry counties were under a Flood Warning Tuesday morning, according to the National Weather Service, while Cook, Kendall and Lake counties in Illinois remained under a Flood Advisory. Both were expired as of noon Tuesday. Still, flooding will continue to be a major concern, as the area recovers from several inches of rainfall and braces for more to come. The Chicago Cubs' Monday night game against the Los Angeles Dodgers was also postponed to Tuesday due to storms. The team is slated to play a double header on Tuesday, though both games will be threatened by the potential for rain. Temperature highs dropped into the uper-70s and low-80s Tuesday and are forecast to dip into the 60s for the evening.